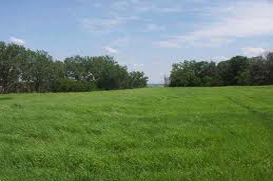 There are a number of reasons for searching for lots and land in Gulfport. If you are looking for a home with plenty of space, there are new and existing homes available. Buying land will allow construction of custom built homes that will suit virtually any lifestyle. From a medium sized lot that requires minimum maintenance to large lots that provide privacy and space for raising a family, the Gulf Coast has many available properties. Horse properties for equestrians as well as acreage for other possibilities exist. Choosing lots and land in Gulfport can include acreage with streams and lakes, providing excellent hunting or for development. The area is home to many businesses as well as attractions that create the perfect environment for building a dream home. Many lots are beachfront providing a great view of the Gulf of Mexico. There are lots with timber including a mix of pine and hardwoods. No matter what your preference, there is such a diverse selection that finding the right lot or acreage is easy. Retirees find this is a perfect location for choosing a home. There are many recreational opportunities for the active lifestyle. Gulfport is located in Harrison County, Mississippi and as the 2nd largest city within the state is an area that is highly desirable. With access to many areas including Louisiana, Alabama, Florida and Texas, property here is considered to be among the best in the country. Choosing lots and land in Gulfport can include areas of Highway 49. This is slated to be the next phase of growth for the city. The purchase of land with frontage on Highway 49 provides access to I-10 and is one of the busiest spots in the city. For investors, this can be a terrific choice. More than 20 golf courses, water parks, swimming, fishing, jet skiing and paddle boating are just a few of the activities that can be enjoyed by those who choose to make Gulfport home. There are a number of museums, casinos and theaters in the area. With the proximity to Biloxi and New Orleans a mere hour away, choosing lots and land in Gulfport is a choice that will provide many opportunities.